My Big Fat Greek resource page (ok, as far as resource pages go it is fairly slender right now. But we'll get there). Greek is a wonderful language that began in the ancient world and continues to be spoken today. For the student of the ancient Mediterranean world Greek is possibly the most important language to learn. It's the language of Homer, Hesiod, Herodotus, Plato, Euripides, the Septuagint, the New Testament, and many of the early Christian writers. Because of Alexander the Great's conquests Greek became the lingua franca of the ancient Mediterranean world in the late 4th century BCE, and continued to be widely used into Roman times. Whenever languages are around a long time they go through stages of development (think about Chaucer vs. Shakespeare vs. Stephen King), and Greek is no different. In addition to historical developments, different dialects of a language can exist simultaneously. This all means you have different choices when you decide to learn the language: Homeric Greek, Attic Greek, Koine (or "Biblical") Greek, Byzantine Greek, or Modern Greek. If you want to be a real nerd you can even learn Linear B/Mycenaean Greek, which will allow you to read riveting inscriptions with lists of goods and possessions (you accountants/ancient language aficionados might enjoy this). When it comes to taking Greek classes, you'll typically find classes offered either in 'classical Greek' (sometimes course listed as "Attic Greek," named after the Greek region of Attica where Athens is located) or biblical/koine/Hellenistic Greek. The former will help you read Greek classics like Plato and Euripides and is typically offered in classics programs. The latter will help you read the New Testament and other literature from the Hellenistic period and is often found in religious schools/Bible programs. Learning either one will be a good stepping stone towards learning to read the other (they are, after all, just different phases/dialects of the same language). If I personally had it to do all over again, I would have taken classical Greek first. As far as ancient languages go, there are lots of opportunities to study Greek. Check around at your local schools. (If you live in the Greater Chicago area you could even attend the free koine Greek class I offer through the Anabaptist Study Center). There are also lots of materials and resources for the study of Greek. The linguistically inclined can even teach themselves! Even learning some basics about the language can help you interact with the many great resources available. I'm not going to reinvent the wheel. One of the best places to find online Greek resources, particularly for those interested in biblical Greek, is at Mark Goodacre's outstanding New Testament Gateway. Take some time to peruse the many valuable resources he offers. 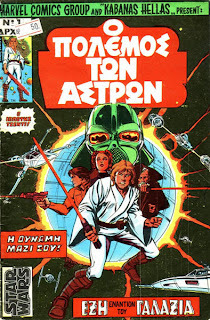 You can also find a lot of digital Greek resources here. If your primary interest is Homer this is a great introductory grammar/reader. This one is not as user friendly, but it is downloadable as a PDF for $0. A good introduction to classical Greek. Bill Mounce's website has a lot of material for learning biblical Greek. I always thought he was from Ionia? "Founded in 1972 the TLG has collected and digitized most literary texts written in Greek from Homer to the fall of Byzantium in AD 1453." What's the Greek word for "awesome"? Links to some online biblical studies resources including some good Greek ones. do you have informations (or do you know blogs) about early greek-texts and the writing-direction "right to left"... "boustrophedon" or perhaps also circular (like on Kreta)? Merci beaucoup for this blog.